The unique formulation within each Procolour pencil promises a clean finish every time. Professional artists have praised the range for its strong point, vibrant and smooth colours, colour-mixing and layering abilities and bright tones on a wide range of artists' paper. Procolour pencils also blend beautifully with a range of mediums and artists accessories, including blending pens and paper stumps. 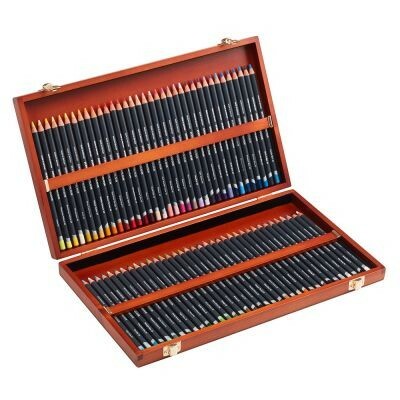 Now available in a set of 72 presented in a beautiful wooden case. This set contains the full range of Procolour pencils. 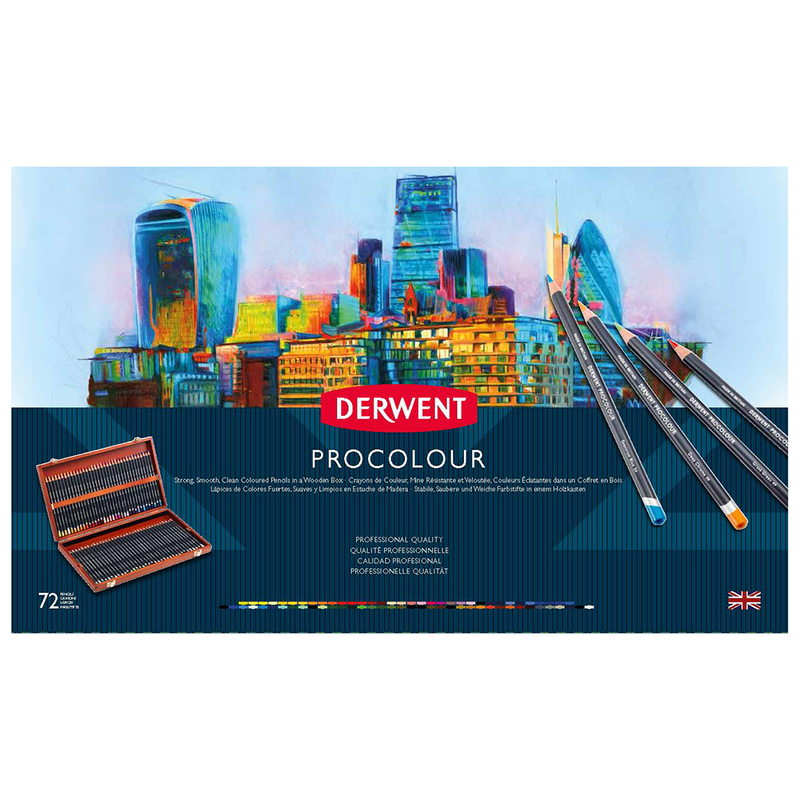 The full range can be viewed on the Derwent Procolour Pencil Colour Chart.